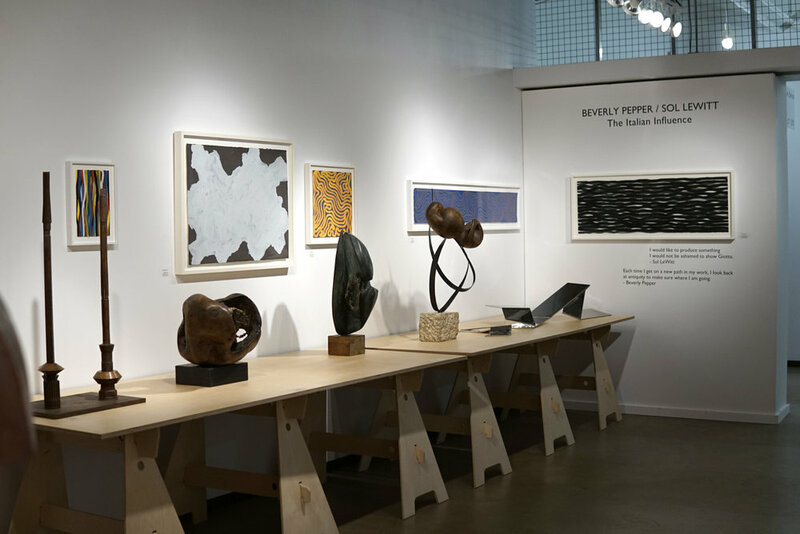 James Barron Art is proud to present Beverly Pepper / Sol LeWitt: The Italian Influence at the Dallas Art Fair. Both artists divided their time between Connecticut, New York City, and Umbria throughout their lives. Both were heavily influenced by historical Italian art. LeWitt drew primarily from the early Italian Renaissance; and Pepper from ancient Etruscan art. Our exhibition is the first to explore Italian art's influence on these two American artists.